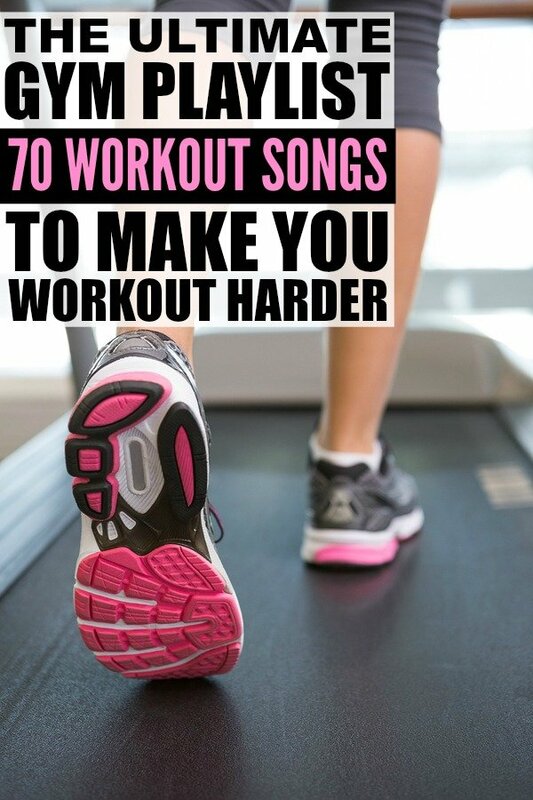 The Ultimate Gym Playlist: 70 Workout Songs to Make You Workout Harder! I spend a lot of time sharing fitness tips on this blog, and while I am very diligent about scheduling regular gym sessions into my routine, I have been really struggling to keep up lately. It’s as though I’ve completely run out of steam. Now, I could blame so many different things for this lack of motivation I’ve been feeling – all of the sicknesses my daughter keeps bringing home from kindergarten, the cold and dreary weather, a lack of Vitamin D, the fact that we haven’t had a vacation in over 9 months – but I had a moment of clarity a couple of weeks ago and realized what the real problem is. I’ve simply been overdoing it. I’ve been burning the candle at both ends for far too long, and my body needs a break. So, for the first time in I don’t know how long, I decided to take a 2-week break from the gym. I was initially worried this decision would be one of the worst I’ve made in my adult life, and that I would put on a ton of weight and have no outlet for my stress, but I found the exact opposite happened. By giving my body a break from the GO! GO! GO! lifestyle I’ve become so accustomed to, I finally have a good balance in my life, and I feel more relaxed and less fatigued than I have in ages. I’ve also noticed a decrease in my appetite now that I’m not burning 500+ calories on the treadmill each day on top of all of the other running around I do on little-to-no sleep, which has enabled me to make healthier food choices. And can you believe I finally lost those last 5 lbs I’ve been struggling to shed from my waistline since last June?! Of course, all good things must come to an end, and with my energy levels back to where they should be, and a better perspective on the importance of maintaining a proper balance and not running myself into the ground again, I am really looking forward to getting back on the treadmill on Monday morning. But before I do that, I need to load some new workout songs on my iPod to keep me pumped, so I spent the greater part of last night going through my iTunes library, and came up with THE ultimate gym playlist. From Mark Ronson’s Uptown Funk and Robin Schulz’s Prayer In C, to Coleman Hell’s 2 Heads and Justin Bieber’s What Do You Mean?, these workout songs will make you want to workout LONGER and HARDER. Guaranteed! If these workout songs pumped you up at the gym, please share this Ultimate Gym Playlist on Pinterest! And if you’re looking for more tips and tricks to keep you motivated with your workout goals, please follow our Health and Fitness board where we share all kinds of inspiration!